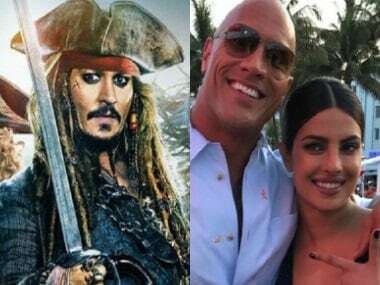 This weekend saw the release of two awaited films with star casts — Pirates of the Caribbean: Salazar's Revenge and Baywatch. 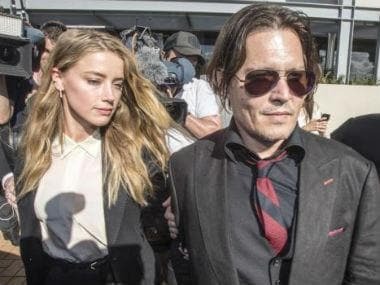 While the former saw Johnny Depp, Keira Knightley and Orlando Bloom reprise their roles from in the pirate world, the latter stars Dwayne Johnson, Zac Efron and Priyanka Chopra in the lead roles in a film about lifeguards. Pirates of the Caribbean: Salazar's Revenge made $24 million on its opening day, when it was screened at 4,276 theaters. This is inclusive of the $5.5 million it earned from the previews on Thursday. It is estimated that the film will earn anywhere between $70-80 million over the weekend. However, this is the notably the least that any film in the Pirates of the Caribbean franchise has made on an opening day, save for the first film Pirates of the Caribbean: The Curse of the Black Pearl. The production cost of Pirates of the Carribean 5 was $200 million, not inclusive of marketing spend. In the first two days of its release, the film has earned $34.5 million. The makers of the film look forward to a $20 million opening in China, where it released on 26 May 2017. It received largely poor reviews, with most critics giving it between one to two-star ratings, even asking if it is time that the franchise come to an end. Baywatch, however, is faring much worse. This film is an adaptation of the popular Nineties show starring Pamela Anderson and David Hasselhoff, and has 18 percent fresh rating on Rotten Tomatoes as of 27 May. Making the most of the holiday weekend, the makers of the film released it on Thursday. Screened across 3,647 theaters, it made $4.5 million on its opening day, says the same Hollywood Reporter article. The cost of making this film is reportedly just under $70 million before marketing. Baywatch also received negative reviews and critics are arguing that the franchise has lost its charm now that it has been taken from the small screen to the silver screen.